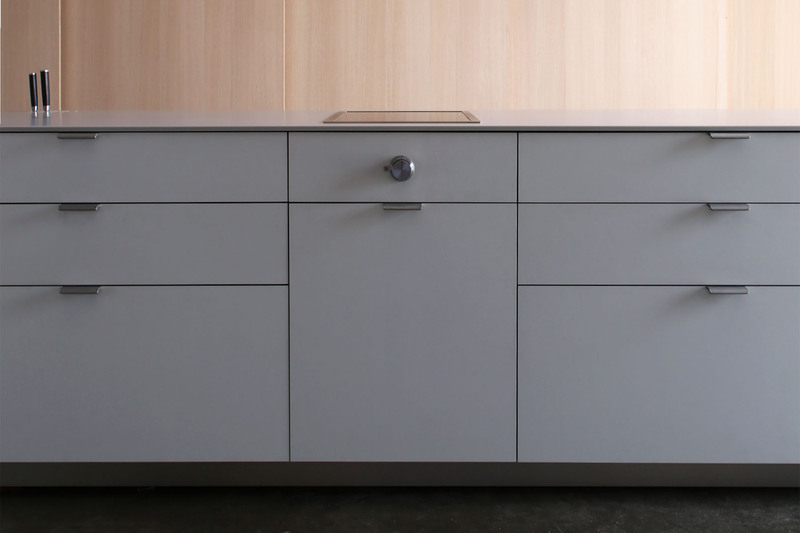 The relationship of pulls to drawer alignment, the counter, and end panels, is designed into the system. 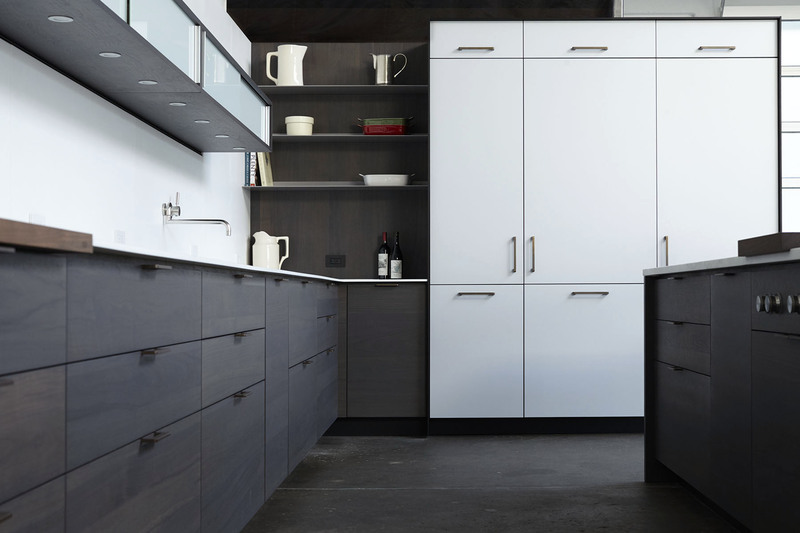 These small but important details that don't show up in architectural drawings can make or break a kitchen. They can be difficult to achieve without an integrated product line designed to minimize the risk of conflicts that arise with things like appliances and corner conditions. But this kind of standard is not a limitation. There are multiple variants in our system. 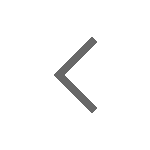 For example, here pulls protrude so fronts, counter and end panels can all be in plane with each other. The best pulls for this condition have been selected. Many small details, almost invisible at first, have been considered and built into the relationships between elements in the kitchen. 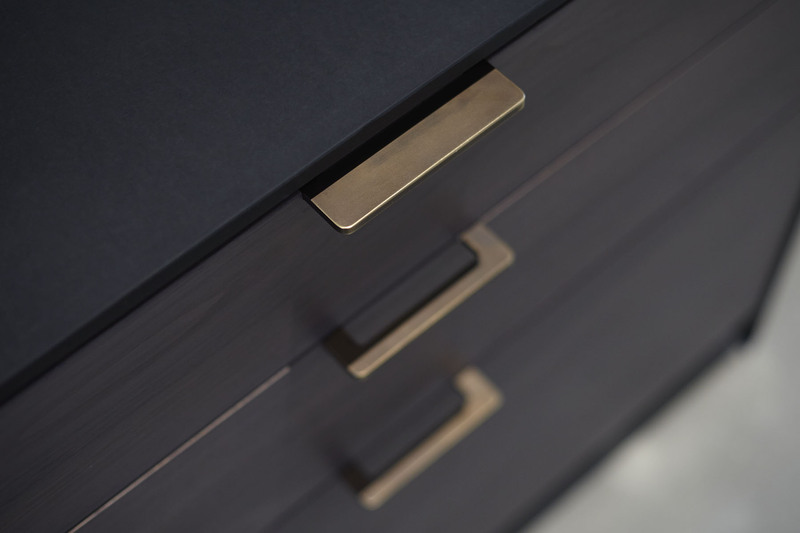 The D-pull used on the top drawer is closed, to prevent fingers from being pinched between the pull and the counter. 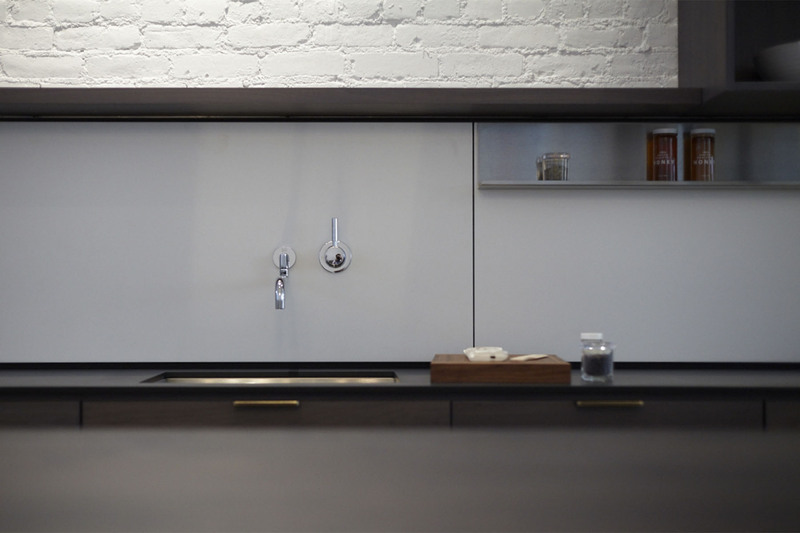 The relationship between the thickness and protrusion of the tall pantry panel with that of the counter is both aesthetic and functional. 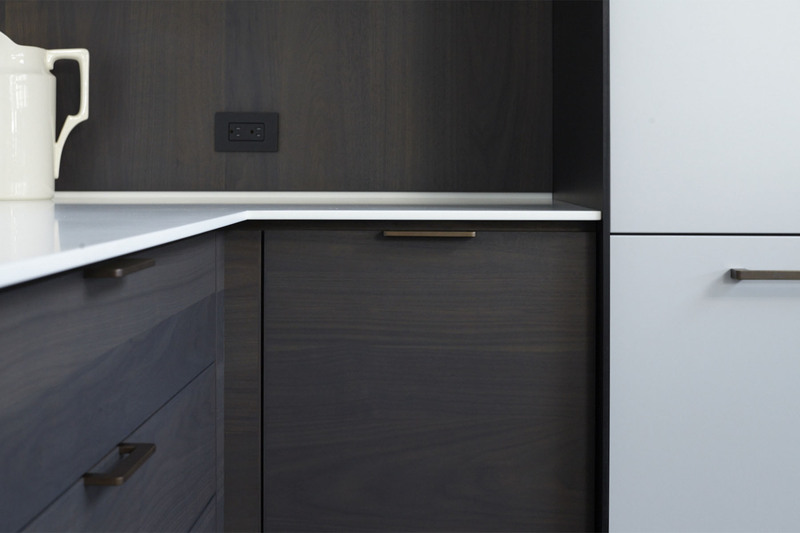 The black panel extends just the right amount to elegantly capture the countertop. This pull is designed not only to open the refrigerator door, but also to cleanly terminate the counter where it ends. 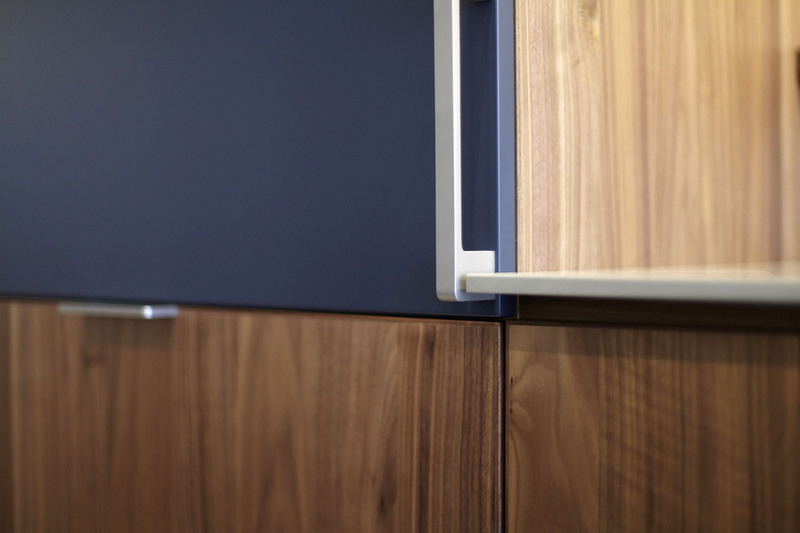 Corner transitions for base units are often points of poor resolution in a kitchen. Our system creates a seamless result, with no waste of space, while also allowing for dimensional flexibility during installation. 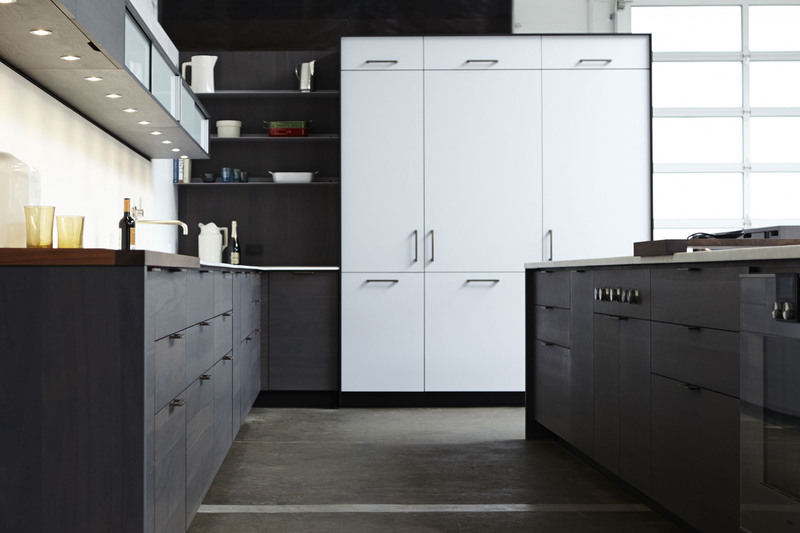 Where counters, back wall and wall units meet, details are often poorly resolved or executed. Our system defines these in a clean way that works every time and also allows for additional functionality. 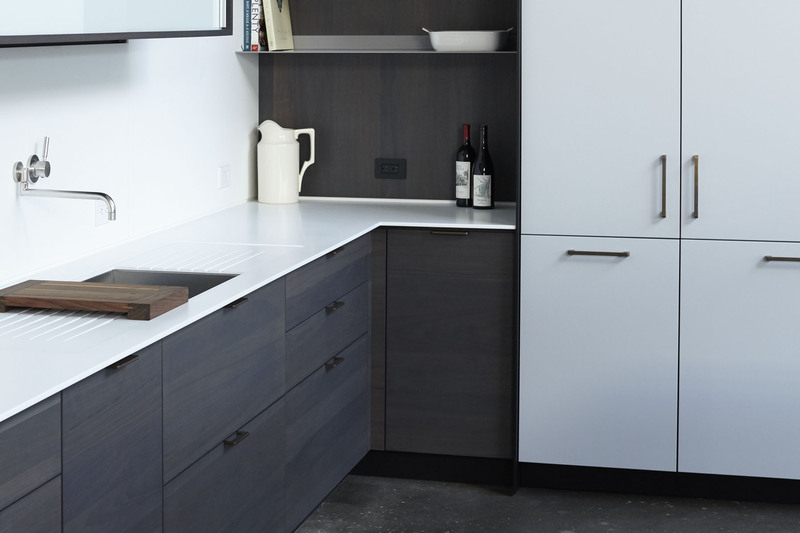 The built-in, knitted together feeling that makes things feel so resolved is created here by the standard relationships between counter, backsplash and wall. 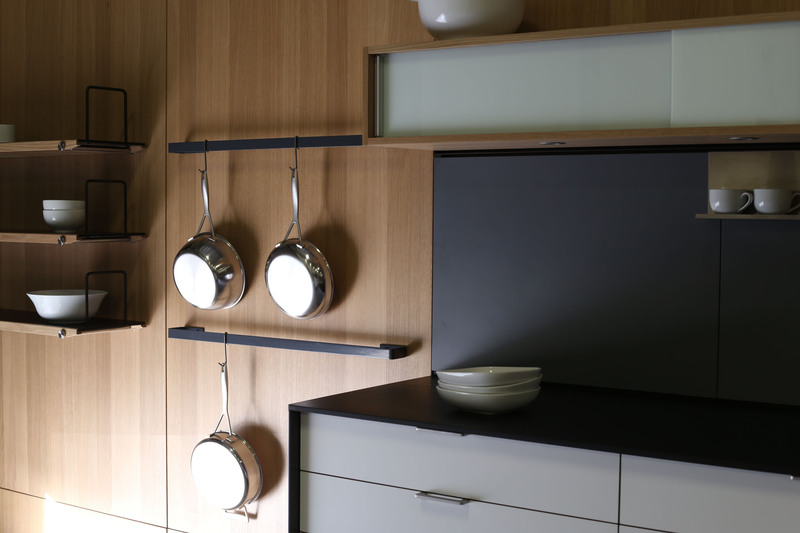 Relationships inside the system also enhance the experience of using the kitchen. 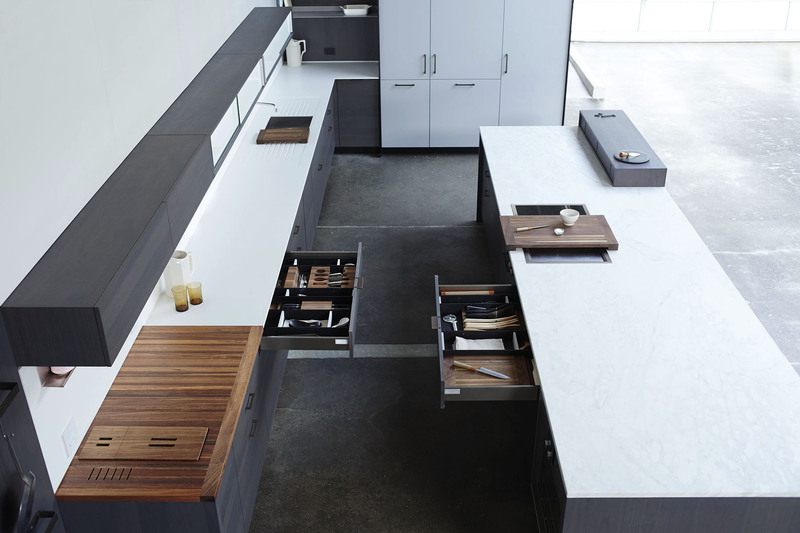 Our modular drawer accessories can be moved from place to place and still work together. This offers flexibility while still providing specialized functionality. Henrybuilt's cutting boards fit into our bar block, are interchangeable with drawer accessories, and slide in our counter drainfield.